Space4cyclingBNE have lodged an objection to the development application for Queens Wharf Brisbane Priority Development Area on the basis that it does not deliver enhancements to the cycle and pedestrian network within the Priority Development Area including upgrades to the Bicentennial Bikeway and links to the rest of the CBD and to South Bank. The design for the Bicentennial Bikeway is inadequate – particularly where it will become a mixed zone, and where people travelling by bicycle will need to navigate through a pedestrian plaza. The proposal for a shared zone does not adequately manage potential interactions between cyclists and other users, or appropriately consider future network capacity. Provision should be made for cyclists on the new bridge linking the Queens Wharf Development Area to South Bank. The full text of our submission is available here. 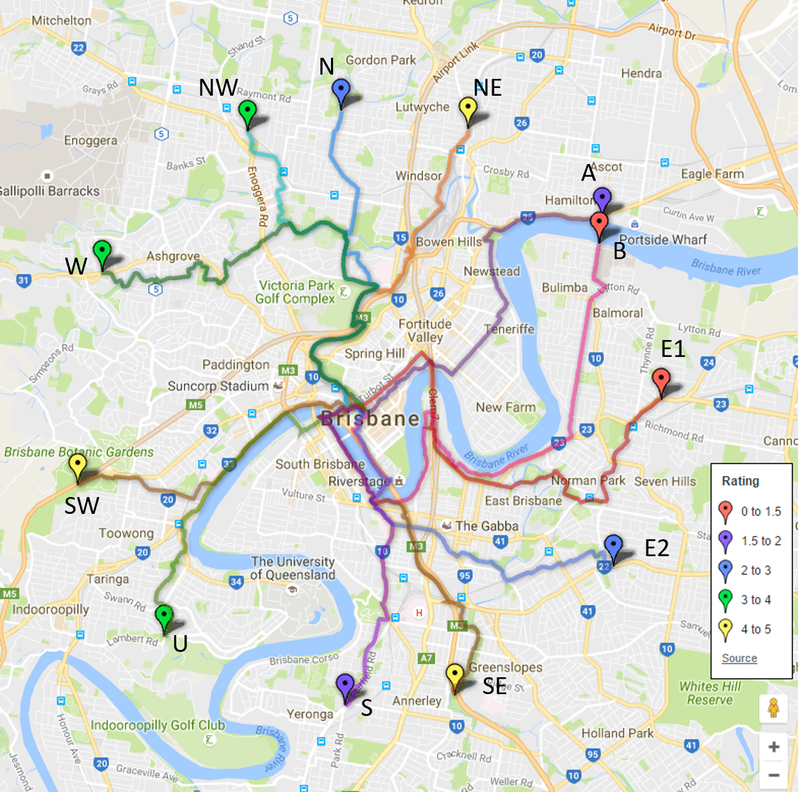 Details of the development application are available by searching for at DEV2017/846 on: dilgp.qld.gov.au/pda-da-applications The most informative of these is Volume 3 Attachment B – Landscape Concept Report, which covers the Bicentennial Bikeway in section 5.6 (pages 83 to 97). The development application will be assessed against the planning provisions outlined in the Queen’s Wharf Brisbane PDA Development Scheme. Deliver enhancements to the cycle and pedestrian network within the Priority Development Area including upgrades to the Bicentennial Bikeway and links to the rest of the CBD. Improve connectivity between the core of the development and South Bank Parklands and the Cultural Precinct. Upgrade other existing cycleways and provide new connections within the PDA to enable integration with the Bicentennial Bikeway, principally outbound on Alice Street and inbound on Margaret Street.